Do you think there’s an app for everything? You might be right. Yet there are some that leave even the most creative and experienced minds in awe. Ready to be inspired and, possibly, weirded out? Have a look at these apps. How to avoid dating your cousin? Iceland has an app for that. As a Nordic island country in the North Atlantic Ocean with a population of about 333 000 people, Icelanders are at real risk of ending up going on a date with their cousin. Using the Icelandic genealogy database, the app prevents that from happening. The app for Android was downloaded at least 10 000 times. Maybe you’re a marketing specialist at your company and deep inside you know that your product is completely useless. No one benefits from it, it costs far too much, and you have no idea how to sell it because no one, you think, will ever buy it. Fear not! Somewhere there are people who bought an app that is only there to show off the fact that you can buy it. 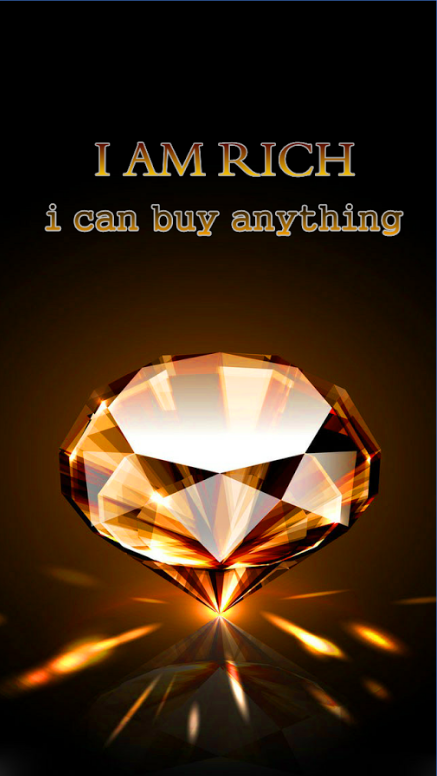 It has a wallpaper of a diamond which says “I am Rich” and that’s pretty much it. But it costs $400 and praises to be the most expensive app out there. It seems the app has around 5000 installs, although some claim they got it for free. So there’s Twitter, Facebook, Instagram. Twitter makes you think that you don’t have enough followers. Facebook keeps reminding you about your ex. Instagram indirectly shows you how not attractive enough you are. And then there is Binky. Binky does none of that. It completely mimics a social app without being social. You can like posts, write posts, scroll through random stuff. You can click “share” and nothing will happen. You can swipe left or right as in Tinder. No one will see any of that. People call it “nice”, “nihilistic” and “weirdly satisfying”. Forbes claims it may help with social media addiction. A weird, yet useful app. It lets you know the best times to run and pee during a movie. There’s a list of carefully selected Peetimes – 3-5 minute long scenes that don’t have crucial plot twists, or funny moments, or exciting action. 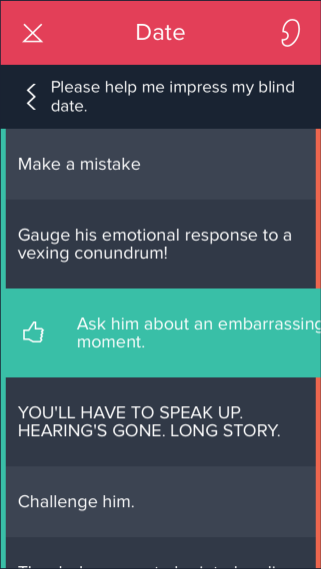 The app also gives you a synopsis you can read while you’re peeing. The list of movies is updated on the day they’re out, or earlier. 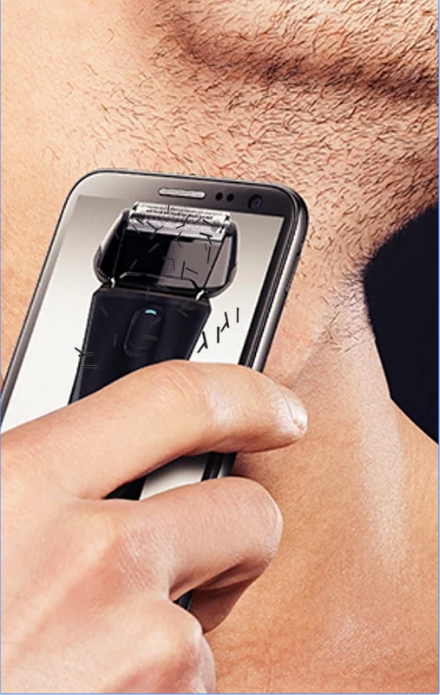 If you thought that the future is here and you can actually shave with your phone – no, you can’t. We’re not there yet. However, you can simulate the shaving procedure on your phone. It looks absolutely real: the app includes amazing graphics, vibration, and very realistic sound. Why would you do that? I have no idea, but the app boasts more than 1 million downloads. Finally, a gaming app. Some might say that most gaming apps are a waste of time. But rare ones are so weirdly self-destructing. S.M.T.H. stands for Send Me To Heaven. Fortunately, they mean the phone, not the user. 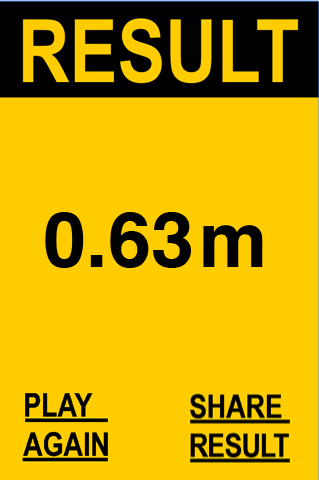 The rules are simple: the player throws his phone as high as he can. The higher, the better. The phone registers the height and uploads result to leader boards. There are around 100,000 installs on Android. That’s another game. Well, kind of. All you do here is zip and unzip jeans. There are different undies under the zipper, but the game isn’t really about that. Developers just seriously love zippers – and it seems, many users do too. 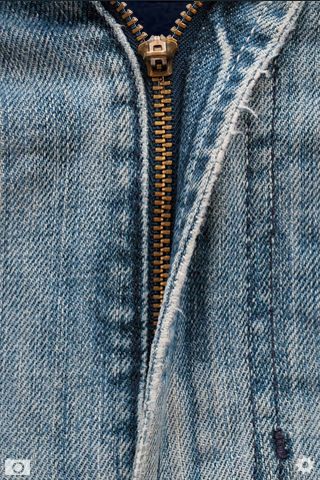 The app description says “Zippers are ingenious; primal and modern at the same time.” I won’t question their feelings, but CNN Money calls it the #1 dumbest app. To be fair, the app at least has a really cool design. So Crowdpilot lets you stream your conversations and crowdsource them by bringing a group of your friends or strangers along to listen in and assist you. If you don’t know what to say on a date, a meeting, or any other situation – just let some other people help you! Or register to become a crowdpilot yourself. Your conversations will never get awkward again! Unless, of course, they’ll see you’ve been streaming the whole evening. Yes, there’s an app for that. To be fair, it also claims to soothe you to sleep and massage your back and neck. I assume you can also call it whatever you want. The app was downloaded more than 1,5 million times and has loads of positive reviews. However, the reviews are mostly from teens begging the store to remove the app from their purchase history. 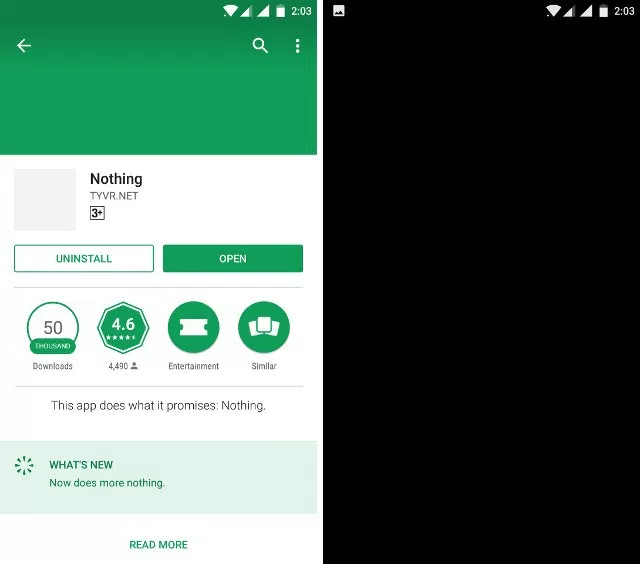 The app, my favourite one on the list, does exactly what it says: nothing. It was downloaded more than 1 000 000 times. When you launch the app, you see a blank black screen and nothing else. The app has a Pro version for $0.99 and does still nothing. For all the nihilists out there, it might be great. The app has 4,5 stars on Google Play. That was my list of the most puzzling apps on planet Earth. Which ones do you find weird, amazing, or a pure marketing success? Share in the comment section!